Greeting cards of my original Watercolor horse, are available, contact me for details. Cards are 5.00 each. 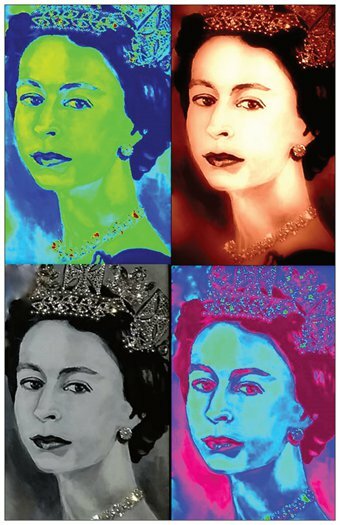 Andy Warhol meets the Queen. 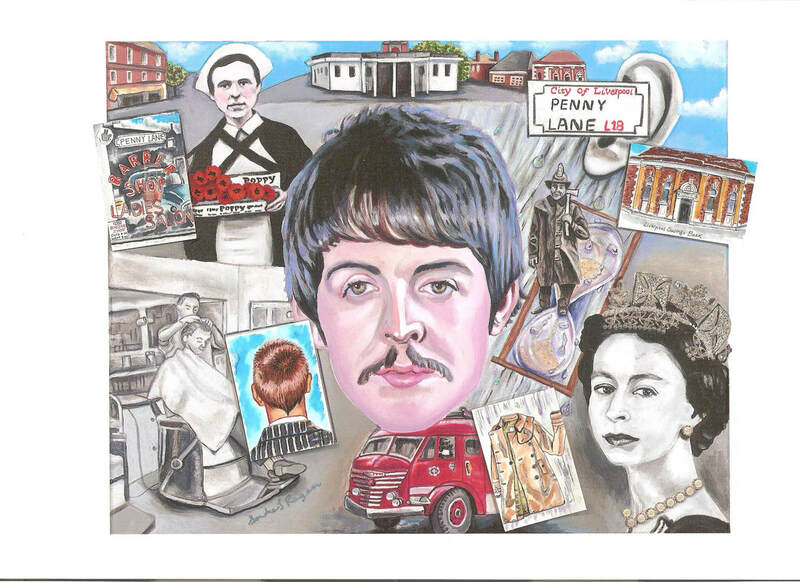 Greeting cards and a canvas print of this will be available at my Etsy shop soon. 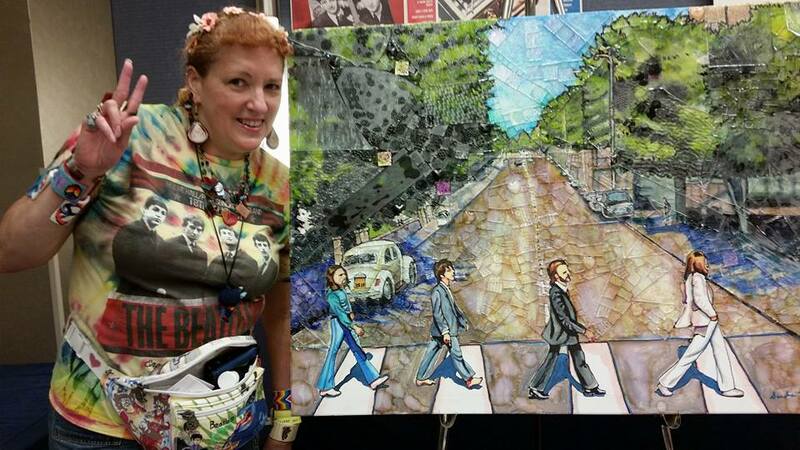 ﻿Myself and my 1st place winning painting, Entitled, Tiffany's Abbey Road, Alcohol Inks and patterned glass tiles. For the Summer of 2015, from 05/29 thru Sept 12th. 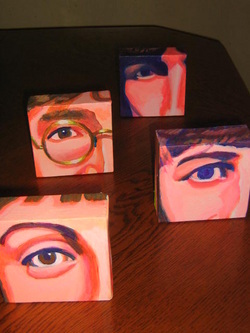 Mini libraries will be on display in a give a book take a book art program in LaGrange, IL. 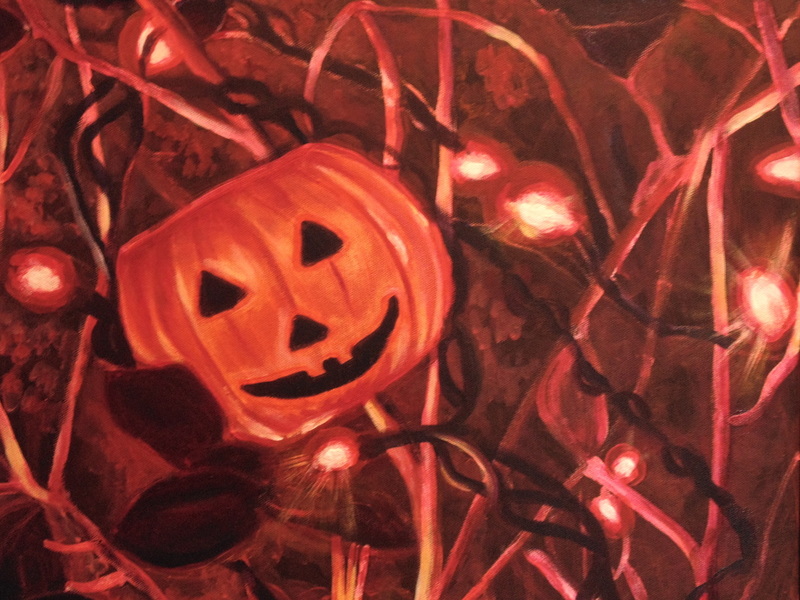 This is my mini library I painted...It is in front of the LaGrange Art League. .
Holiday Jack-O-Lantern, acrylic on black canvas, Available for sale. 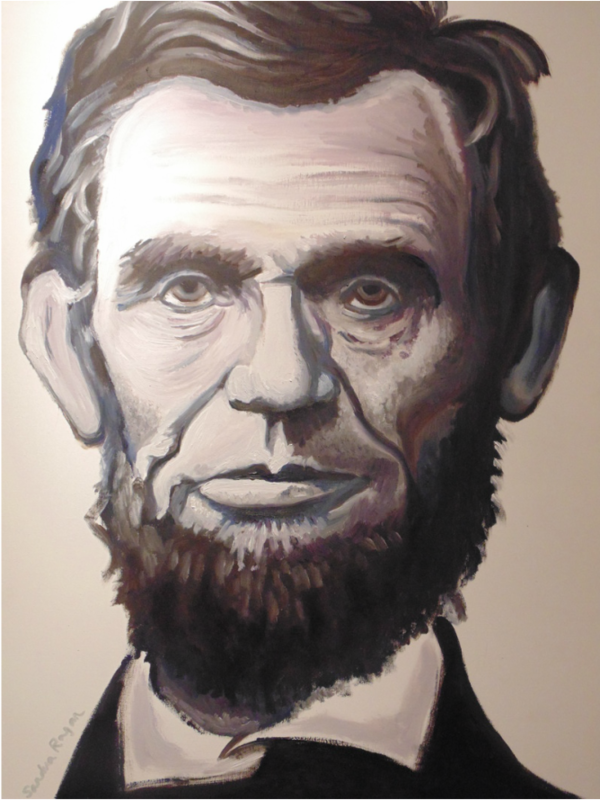 I sold my Abe Lincoln painting, but, cards of this image are available at my Etsy shop. definitely keep an eye on this store going forward! 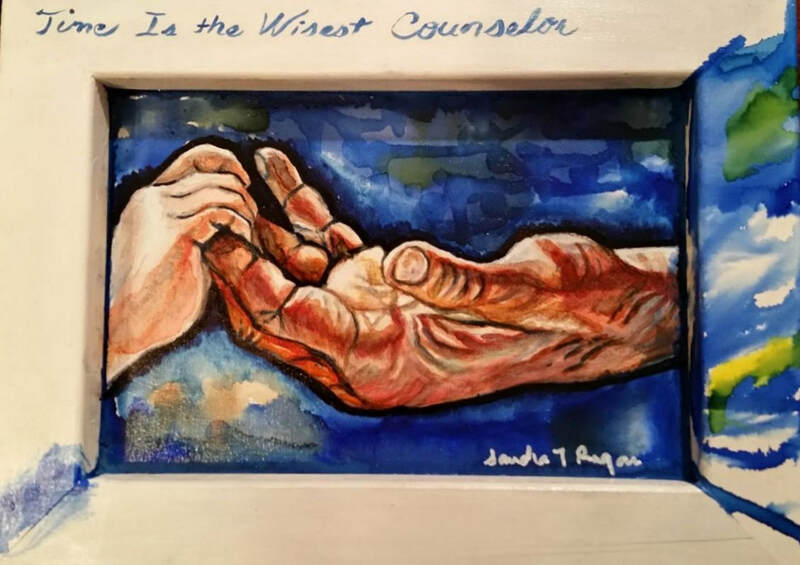 Visit Sandra Ragan's profile on Pinterest. 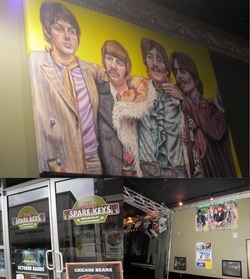 Fitz Spare Keys in Elmhurst, IL is now displaying my Beatles art work, Jimi Hendrix, and soon, led Zeppelin for sale. 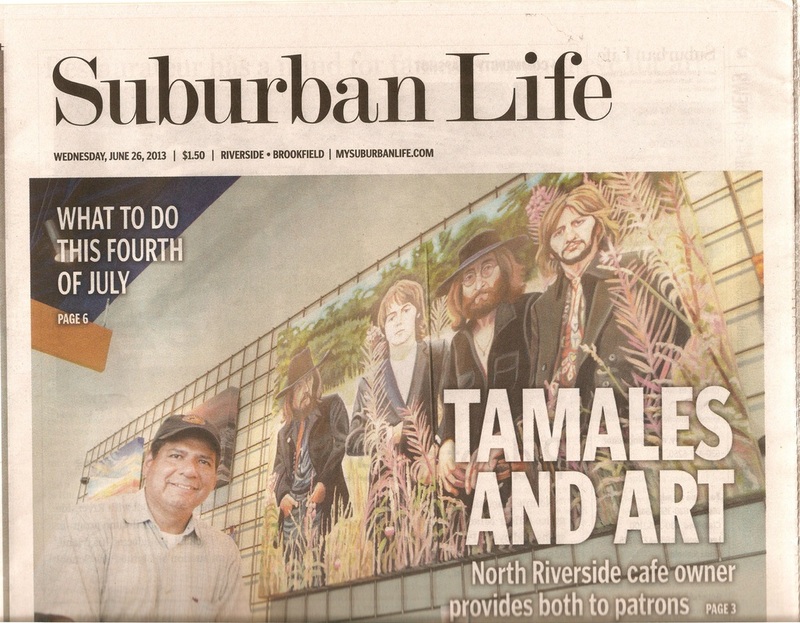 They are located in downtown Elmhurst, 119 N York rd, Elmhurst, IL. They have really great food, a bowling alley, and big party room, check Em out!!!! 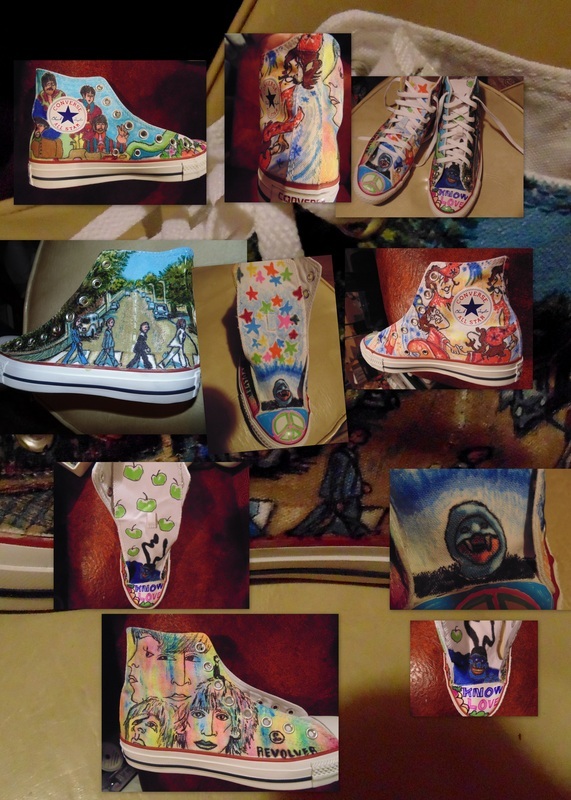 I am a professional artist, and I have been drawing and painting ever since I can remember. 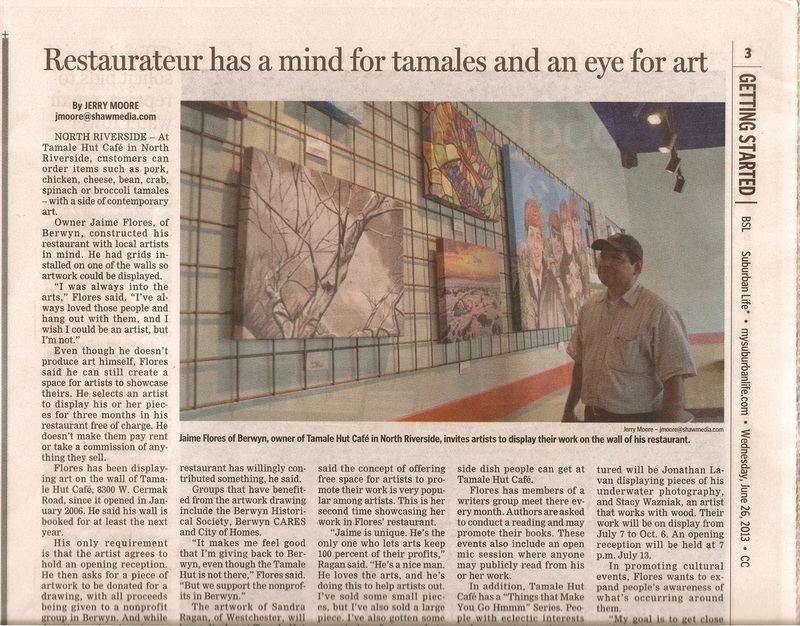 I took private Art lessons as a child, and majored in painting, and then Art History in College. 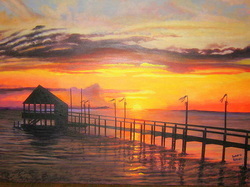 I am an active member of the La Grange Art League since 2002, and have won best in show in March of 2008, and theme award in July 2009. 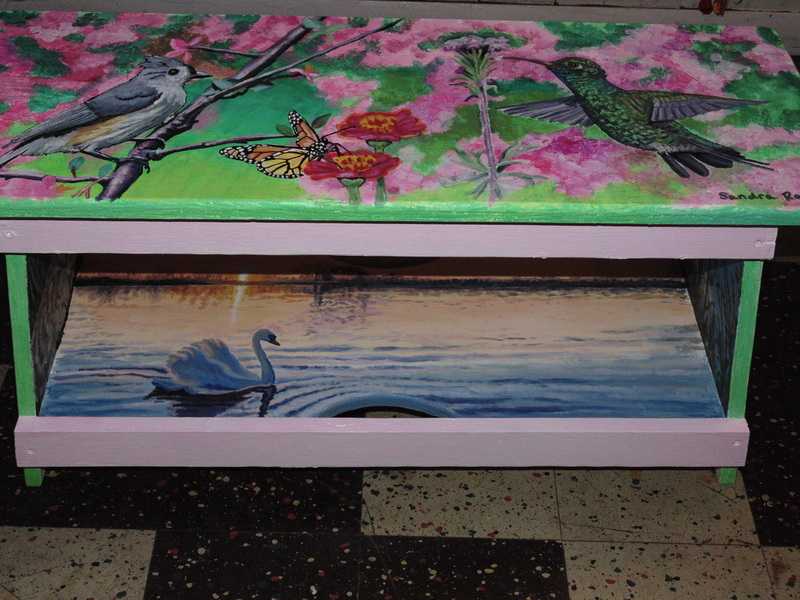 I do commission work, as well as murals. 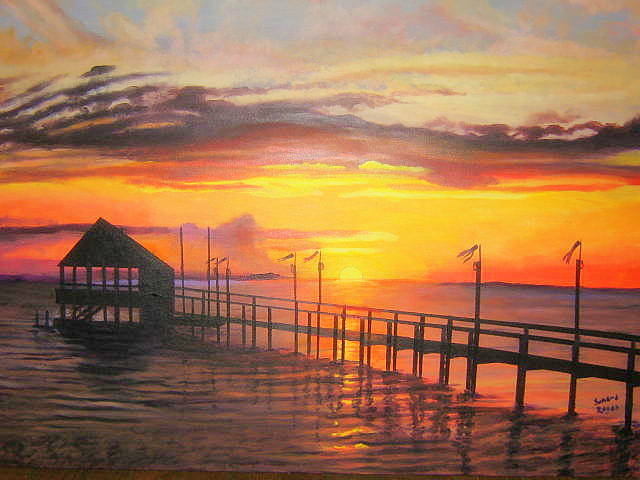 I enjoy painting a variety of subject matter, anywhere from sunsets, still life’s to the Beatles. 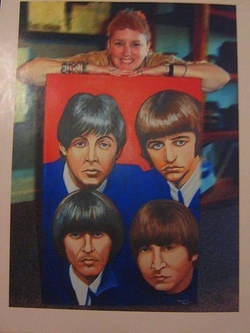 I have been entering The Fest for Beatles Fan’s art contest since 2001. 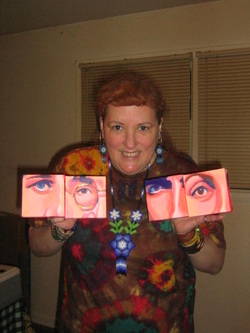 I had won 2nd place in 2002, honorable mention in 2004, and since 2006, I have won either 1st or 2nd place in the contest. 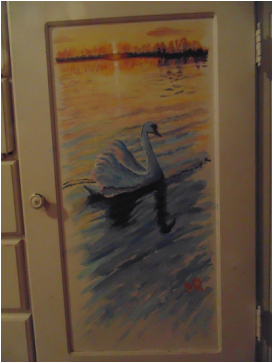 A plaque I painted is permanently mounted in La Grange, and I won 1st place in that art contest as well. 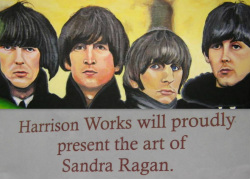 I had the privilege to show my Beatles works at Harrison works, in Oak Park, in 2010, a show dedicated to John Lennon for his 70th birthday, which was featured in a local paper the Oak Leaves. 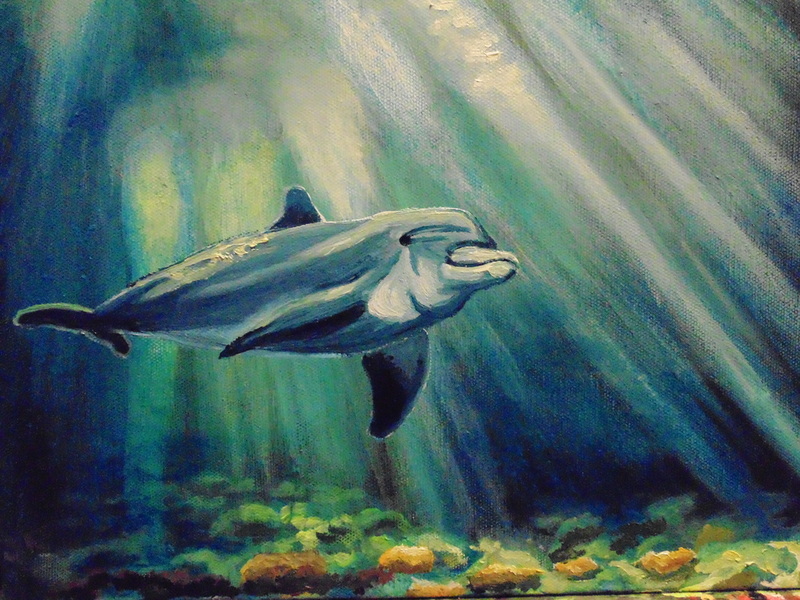 Primarily paint in acrylic, but, have been working in water soluble oils as well. I prefer to paint on gallery wrap canvases, no need for framing, and the painting continues around the side of the canvas, which I find interesting. In my life as an artist, I have also worked in other mediums as well, including, lithography, pastel, pen and ink, charcoal, and pencils. I have a shop on Etsy.com, if you have time, check it out for a selection of hand beaded earrings, and original art work. My shop is: www.etsy.com/shop/sanddan0593. 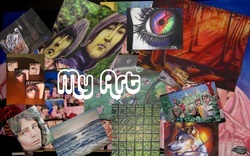 I find that painting is my way of truly expressing myself, and is my special gift from God, I hope you enjoy viewing my creations, as much as I did creating them. 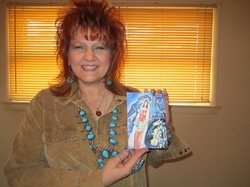 Please check out my Husbands Website, www.musicyoda.com . 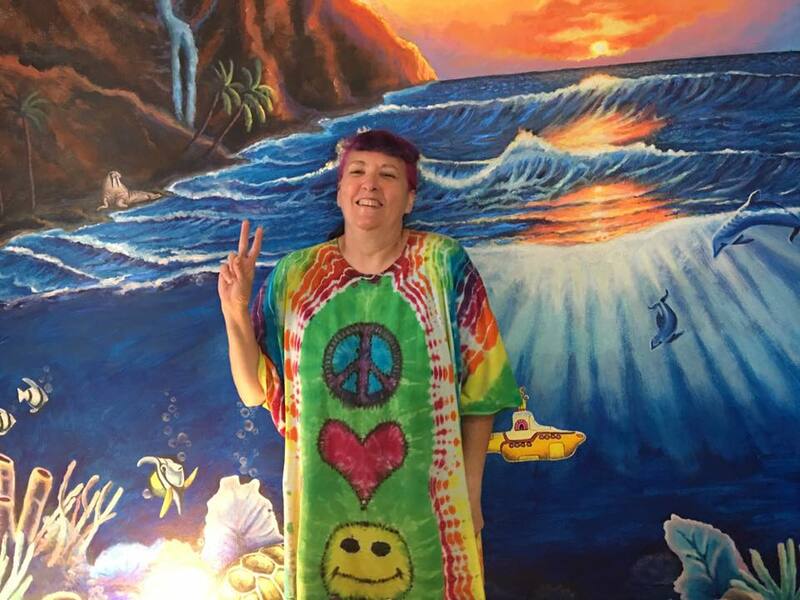 He is a professional musician/music teacher, and is available for lessons on line, using paypal, webcam, and skype, or available for face to face lessons, see website for details. Also, Dan Ragan, AKA Musicyoda, has his own channel on Youtube, with videos of he doing his musical stuff, please check it out if you have a chance, http://www.youtube.com/user/dansing124?feature=mhum . 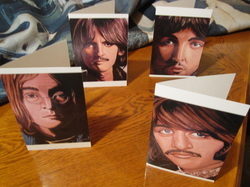 My Beatles art, greeting cards, pendants, earrings, mugs, pens and art prints will be for sale at Harrison Works, Oak Park, IL, RECEPTION Is 05/17, 6-10pm, runs thru end of June, 2013. 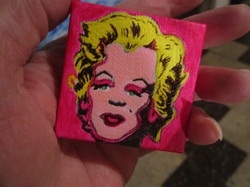 My Mini Mini Masterpiece, Warhol's Marilyn, Acrylic and marker on 2 by 2 canvas. 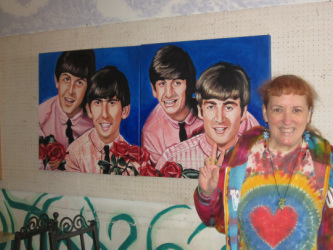 Justine, My Friend and customer, with my latest work she just bought. 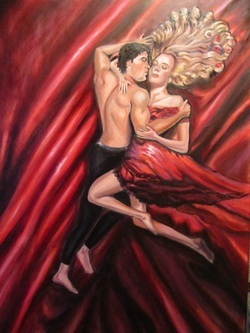 Myself, 12/03/12 and my commission called Fallen Angel, black marker on acrylic, 20 by 36 inch canvas. 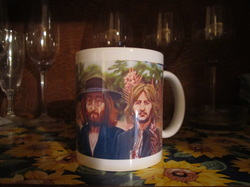 These Mugs are available for sale at my Etsy shop, they are printed with my original Beatles painting. Click the photo for link to my shop. Attention, one mug has already sold! Only 2 mugs left! 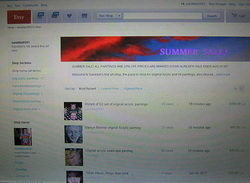 Click on this picture to see my YOUTUBE SLIDESHOW! 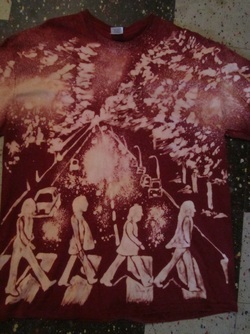 Please click on photo to be linked to my Etsy shop!